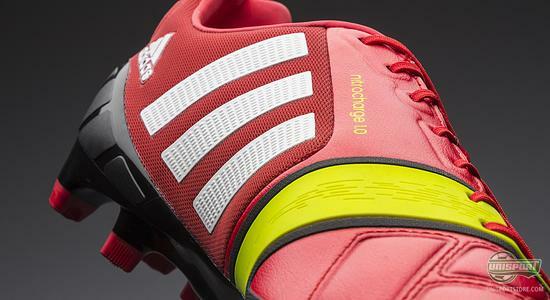 The Adidas Nitrocharge 1.0 has been getting a lot of attention over the summer, and now Adidas are ready to launch the boot that is aimed at teams the hard working engine in a new and elegant red colourway. 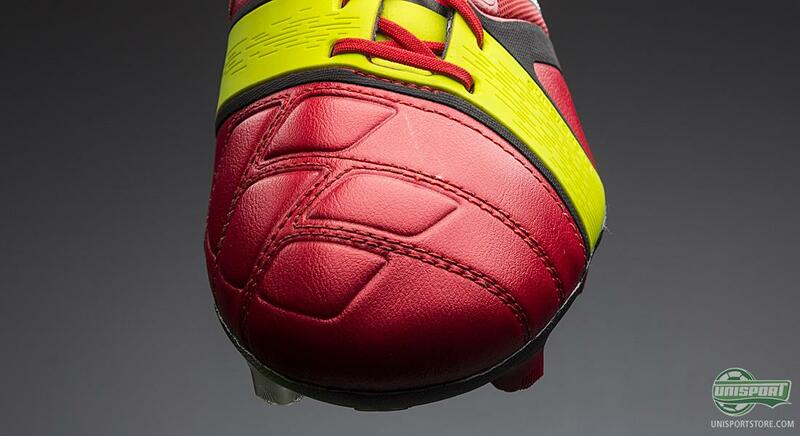 We have decided to take a closer look at the new boot right here. The Champions League is just around the corner, and Adidas are ready to celebrate this with a brand new and elegant Champions League colourway for their popular Adidas Nitrocharge 1.0 boot. The Nitrocharge is Adidas' latest boot silo, and it has confidently made its way onto the biggest scene of them all, with massive stars, such as De Rossi, Ezequiel Lavezzi, Phil Jones and Dani Alves already wearing the boot, and even Steven Gerrard has been flirting with the Nitrocharge lately too. 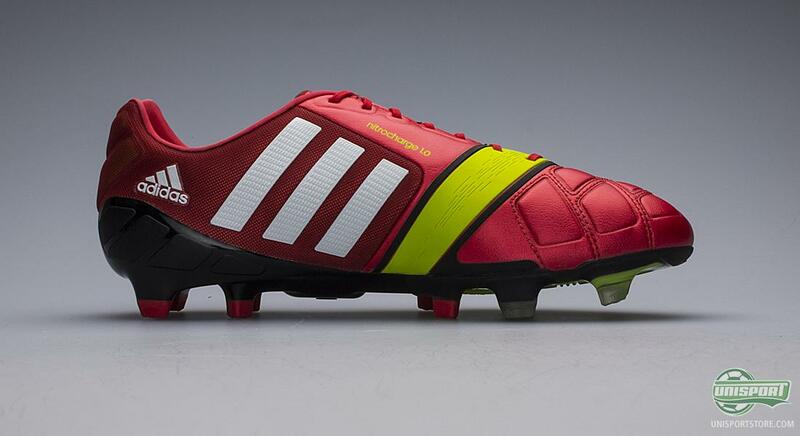 Now that the Champions League is getting closer, Adidas show all the international star players a good reason to take another look at their Nitrocharge boot. Are you looking to get your hands on the new Adidas Nitrocharge 1.0 in this latest colourway, then you can already now pre-order it right here  prices from 185. This latest colourway is an explosive and attention demanding model, and with the combination of red and the Adidas electricity colour, you are guaranteed a boot that will add style to your play. 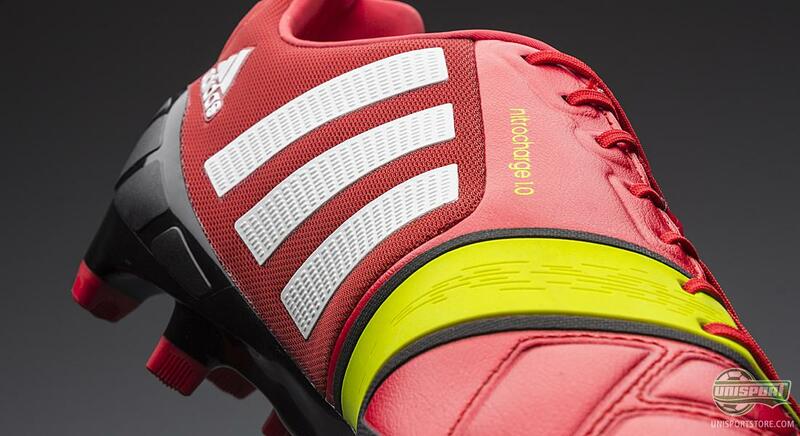 Adidas have aimed the Nitrocharge at The Engine of the team, who will work tirelessly for the entire 90 minutes. Normally you might not instantly associate a hard working player with a boot with loud colours, but with an elegant and beautiful red colour, Adidas have managed to, in true German style, to underline that colourful boots can be worn by anyone. 'The Engine' is a player that Adidas, based on thorough analysis, have defined as a player who runs none stop throughout the 90 minutes of a game, and who is never shy, when it comes to putting in the good solid tackles. Therefore, Adidas have also decided to equip the Nitrocharge with some extra protection, especially around the heel where you are often vulnerable to tackles coming from behind. In other words, the German's have included a couple of lined pads in the heel of the boot, and also slightly heightened the heel. The most eye-catching part of the new Adidas Nitrocharge 1.0 is clearly the Energysling that has also been given a characteristic neon colour, or electricity, as Adidas have named it. The new technological solution Energysling has been given the job to keep your foot locked in place and provide support for your directing changes and accelerations. Hereby, you can react and act faster on the pitch, without wasting energy, which is also the well fitting mantra of the boot. 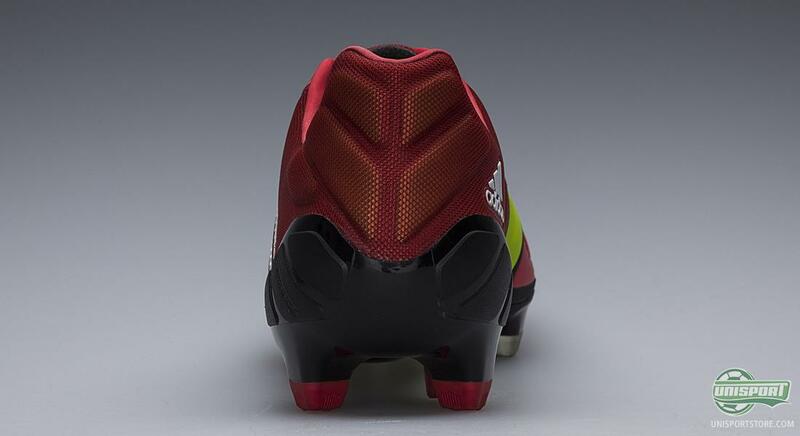 An important part of the boot is naturally the upper material, and here Adidas have also kept focus when developing the Nitrocharge. The Germans have taken to the lab to pick the great performing Hybrid Touch material. It is a synthetic material that combines the advantages from natural leather with those of synthetic. All together it ensures good comfort and a soft and natural touch on the ball; it will not expand as much as natural leather, but will neither take up as much water. In addition, the upper has been sewn in a way that creates little pads that create a dampening effect and also protect your foot from tackles  a general theme for the new Nitrocharge. 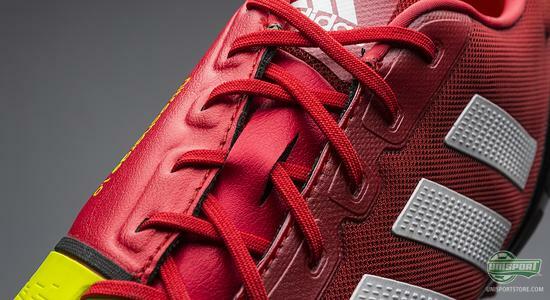 The outsole on the Nitrocharge is the well-known Adidas sprintframe. Although it's not entirely as we know it, as the Germans have decided to add their Energypulse technology to the Nitrocharge. The reasoning is to add more energy to your kick-off and acceleration in order to keep you going for the full duration of the game, and not waste energy. This new colourway for the Nitrocharge 1.0 is a very special Champions League colourway, and you may also recognise the red and black colours from the Adidas Finale 13 football, which will be used in the coming season of the Champions League. 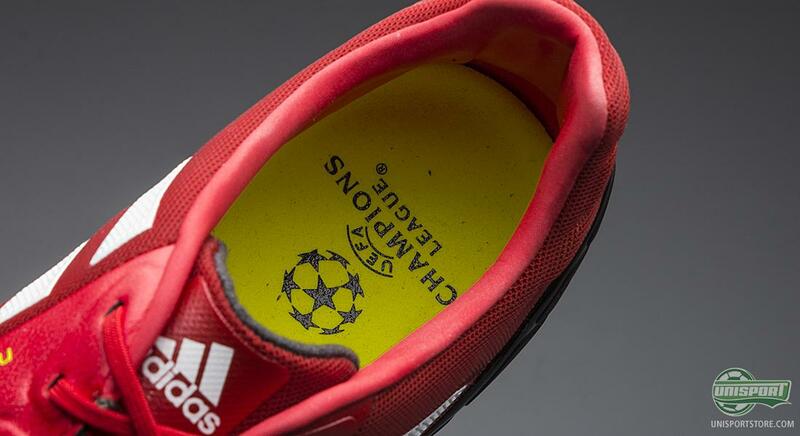 And just to clarify that this Nitrocharge has been designed for the Champions League, you will find the well-known and beautiful Champions League logo in the inlay sole. 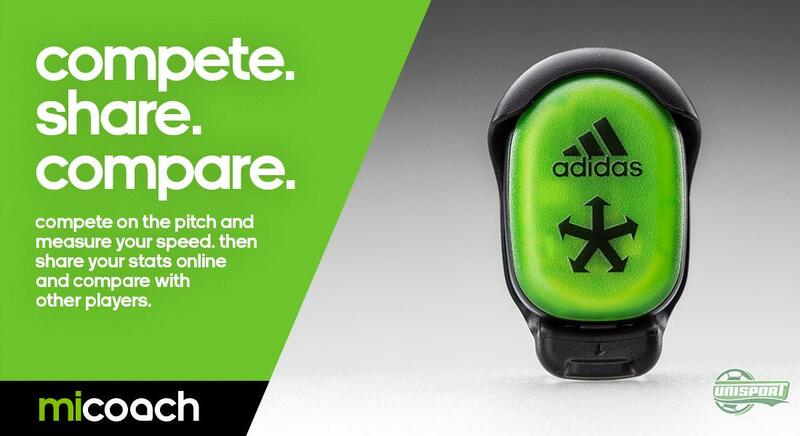 When the Champions League kicks off it's all about showing the energy that your boots will facilitate, and if all the international stars would like to know exactly how much they are running, then the Nitrocharge 1.0 is also compatible with the Adidas miCoach that can track how far you have run, how fast you have been and so much other cool information. Hereby, you will have the opportunity to prove to your team mates that you are not only wearing The Engine's football boots, but that you in fact is your teams most hard working player. 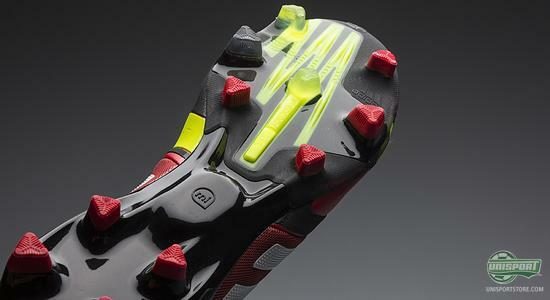 A necessity in order to deliver on the pitch is naturally that you have the traction need, and don't slip and slide. 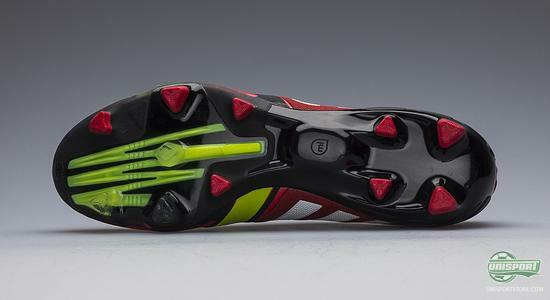 Here, Adidas have chosen to stick with their Traxion 2.0 stud configuration. It is based on triangular studs, which have been strategically placed to serve specific purposes. They each have a specific job to do, whether it be acceleration, direction change or deceleration. Adidas continue to spoil us with beautiful colourways of the brand new Adidas Nitrocharge 1.0, and we are certainly not complaining about this new Champions League colourway. What do you think of the engine's new colourway? 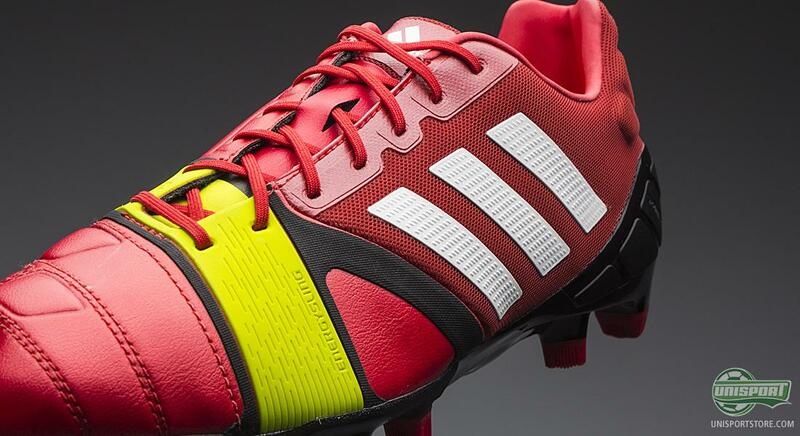 And which colourways of the Nitrocharge are your favourites? As always, we would love to hear your opinion here, or on Facebook and Twitter.